Inspired by the speed and performance of cSearch, xSearch is designed for larger ecommerce sites that handle more traffic and require greater capacity. xSearch delivers extreme ecommerce search performance! Advanced Search Tools Add even more functionality with the popular tSearch - search as you type and iSearch - advanced sorting and filtering add-ons. Expanding on the features of cSearch, xSearch takes search functionality further with increased capacity and enhanced performance. Optimized for larger ecommerce sites, xSearch can handle additional traffic loads with ease. xSearch enhances the user experience of larger ecommerce sites, simplifying the search process and dramatically improving sales conversion. 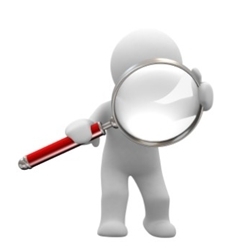 Make it easier for your customers to find what they’re looking for and find it fast! Built around the needs of your customers, our extreme search system delivers your customers directly to the product they’re after, regardless of keyword order or spelling. Searches even automatically include variations of keywords, eliminating any chance that a search won’t be successful. xSearch includes more than a dozen searchable fields built-in and you can add additional fields at anytime. Search statistics are included as well. Track searches by day, keyword and search volume to optimize your customers’ ecommerce experience. We understand how important usability is to the ecommerce experience, so we’ve engineered xSearch to be fast! Integrated data caching means lightning-fast response and load times, as well as almost instant sorting and filtering by category, manufacturer, price and popularity. Advanced search functions are all handled seamlessly, delivering customers to exactly the product they need and improving customer satisfaction. xSearch is designed for easy integration - no programming knowledge required! Simply replace your existing search system and you’re off and running. If you need to make changes, configuration is a snap through the administrative console. All of our search systems include complete instructions and documentation to make improving your ecommerce site simple, even if you only have a limited knowledge of HTML. Better still, our systems can be added to your site without AspDotNetStorefront shopping cart source code. Need extra help? We can install your search upgrade for you! Response:Yes, we have demos available...please contact us directly and we can give you a demo license for a few days to verify functionality. And we thought CSearch was fast.. This is insane!